Originally built between 1711 and 1721, this pier once extended from State Street in downtown Boston (near Faneuil Hall) a half-mile into Boston Harbor. 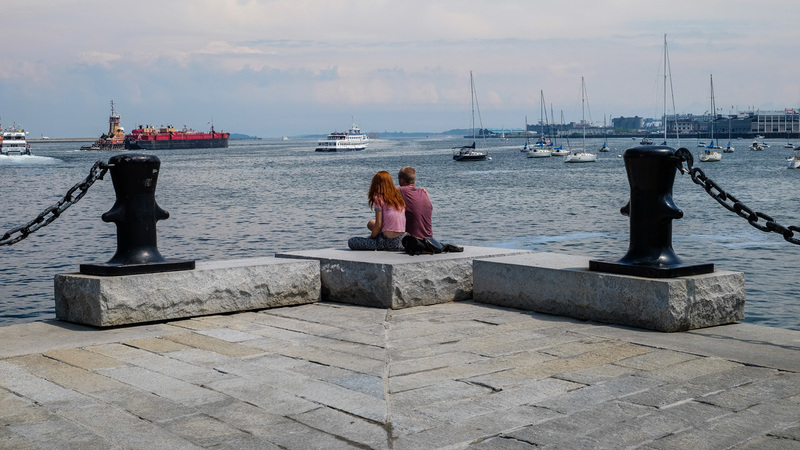 Before being shortened by infill, Long Wharf helped solidify the city as an important shipping destination in the eighteenth and nineteenth centuries. The wharf became further disconnected from downtown by an elevated highway constructed during the 1950s. 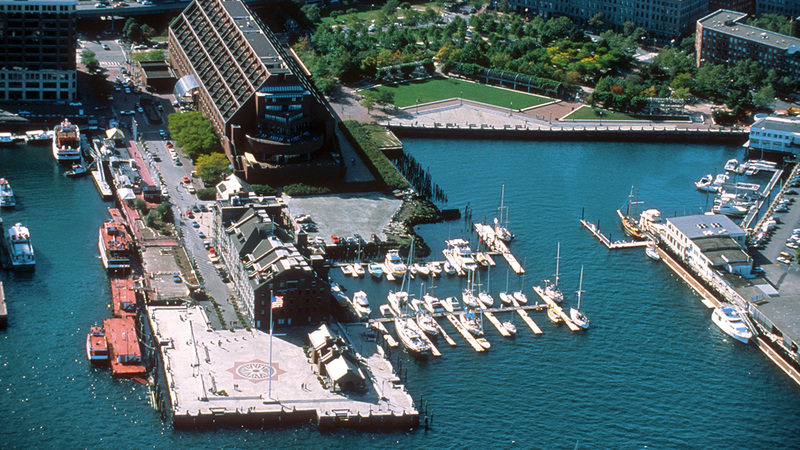 This spurred concerns over the future of Boston’s waterfront and resulted in its redesign by Sasaki, Dawson & DeMay. The firm was commissioned by the Boston Redevelopment Authority in 1974, and prepared and oversaw the implementation of a master plan in 1979. The project involved the installation of a promenade along the remaining length of the pier, leading to an open plaza at its end. 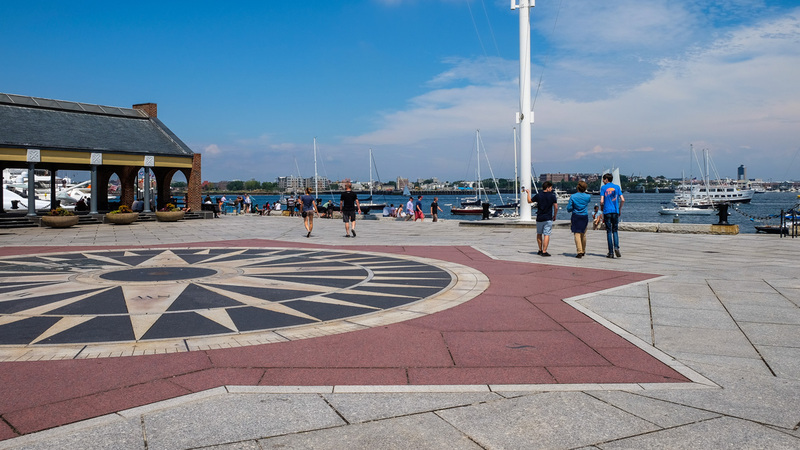 The plaza features decorative granite and bronze paving at its center that takes the form of a compass. To the north of this focal point is an open-air structure surrounded by planters and benches. 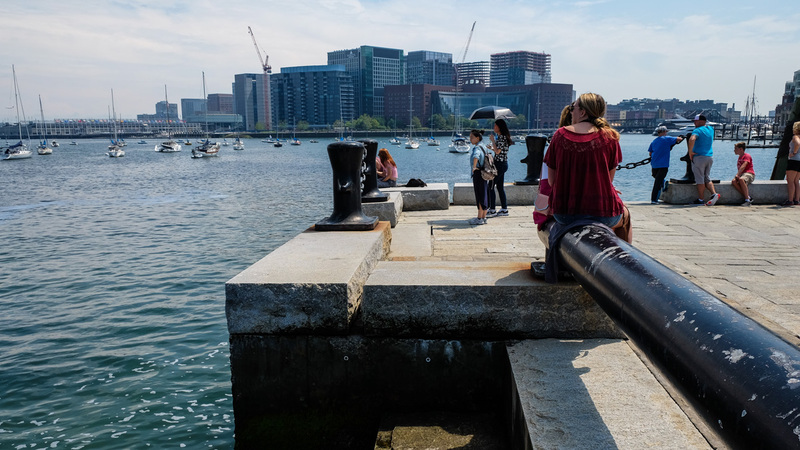 The project also included the restoration of eighteenth and nineteenth-century granite bulkheads and the introduction of apt furnishings, including granite slabs for seating and nautical-themed bollards and chains. A towering mast and flagpole acts as a beacon, visually connecting the pier with the city. 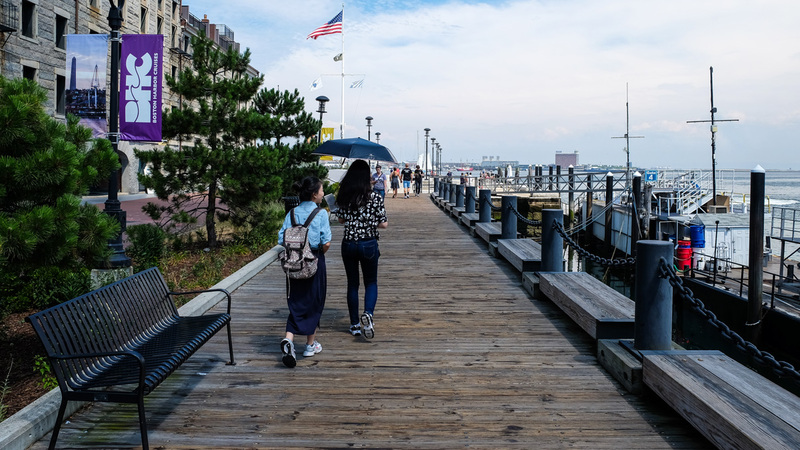 The Harborwalk runs along the southern edge of Long Wharf, transitioning from a boardwalk to stone paving at the open plaza. 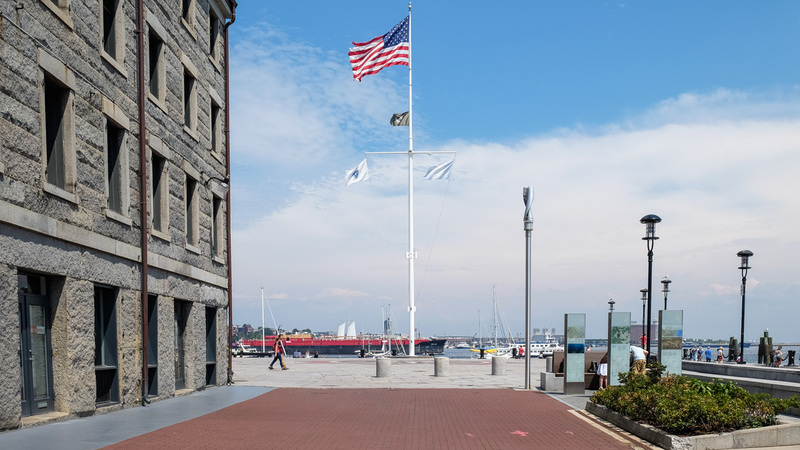 Commercial destinations are located within the wharf’s historic buildings, including the Custom House Block. 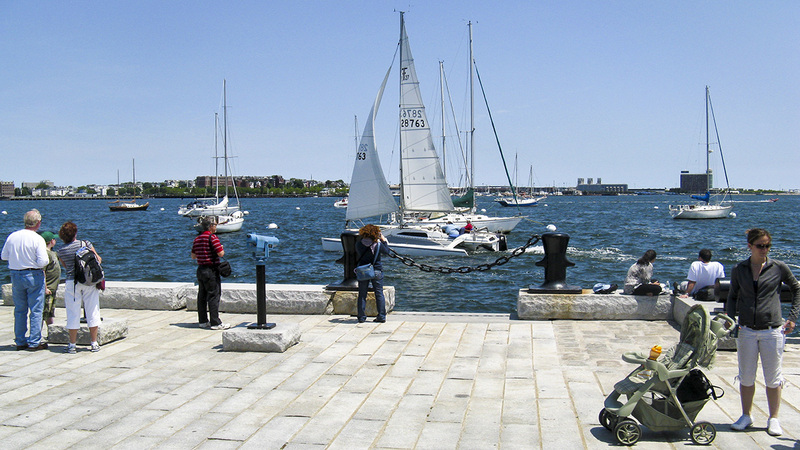 Long Wharf continues to serve as an important transportation hub, with ferry service to the Boston Navy Yard, the Boston Harbor Islands National Recreation Area, Salem, and Provincetown. The project is also visually and physically linked with Christopher Columbus Waterfront Park, designed by the same team in 1976. 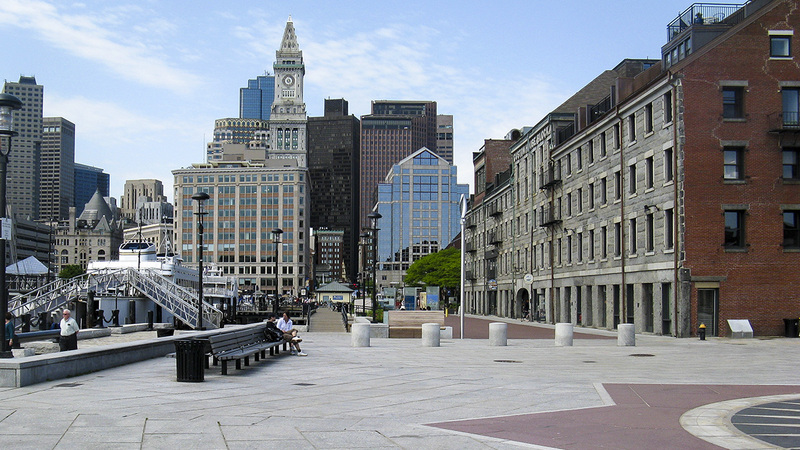 Long Wharf was listed in the National Register of Historic Places and designated a National Historic Landmark in 1966.